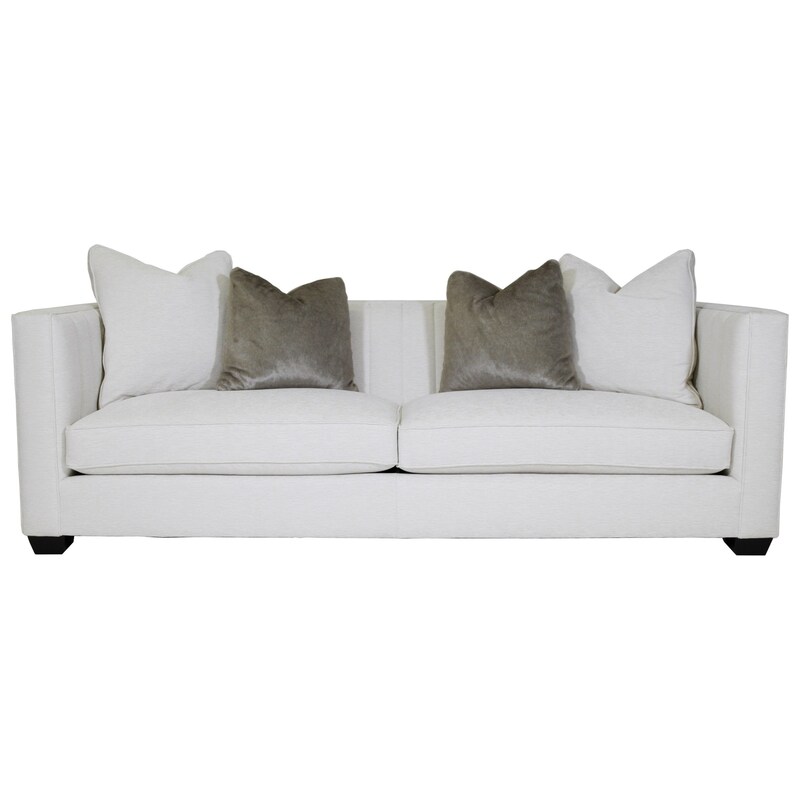 This contemporary styled sofa is made by a manufacturer who is a leader in design. The piece features smooth lines throughout, from the seat back to the high-set arms. Coordinating toss pillows increase the comfort while still allowing this sofa to have a trendy, tight back. This piece is available in an assortment of fabric options through special order methods. The wood finish on the tapered wood legs is available in several finish options. The Noah Sofa by Bernhardt at C. S. Wo & Sons California in the Southern California, Costa Mesa, Orange County, Long Beach, Anaheim, Los Angeles, South Coast Collection area. Product availability may vary. Contact us for the most current availability on this product. Pillow (2) Blendown throw pillows - 21" x 21". (2) Blendown throw pillows - 24" x 24" DP20.